Here is your chance to tell us what feature(s) should be included in future versions. This poll is no guarantee a feature will actually be implemented, but the feature with the most votes will most likely be added. I'll add new 'vote items' to the poll as soon as I see them in replies to this post. Last edited by Erwin Denissen on Fri Apr 22, 2005 1:46 pm, edited 3 times in total. Automatic and Manual hinting would be real nice. Not really -- don't want Type 1 support and I don't know what are "open contours". Of course hinting would be a great adventure for all of us -- seemingly we would need both automatic and manual hinting to get it right. I would hope the Font Validation report could be made resident and skip the write/read to disk step. 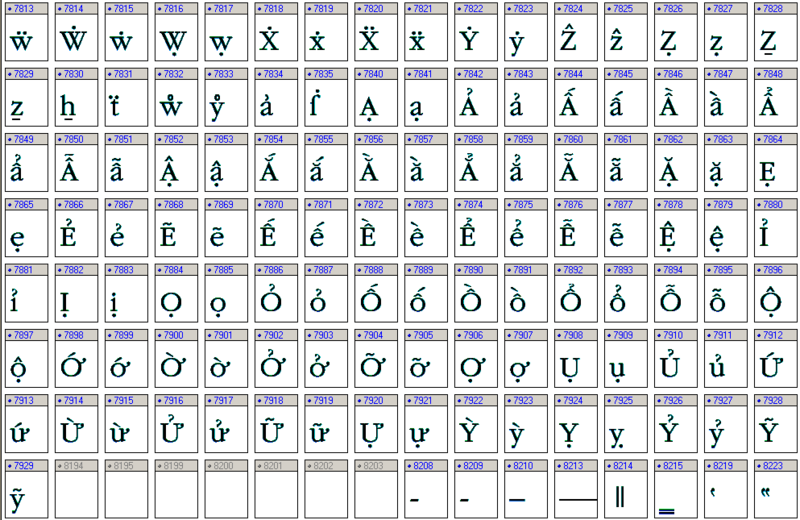 And of course, more choices on the glyph sorts. 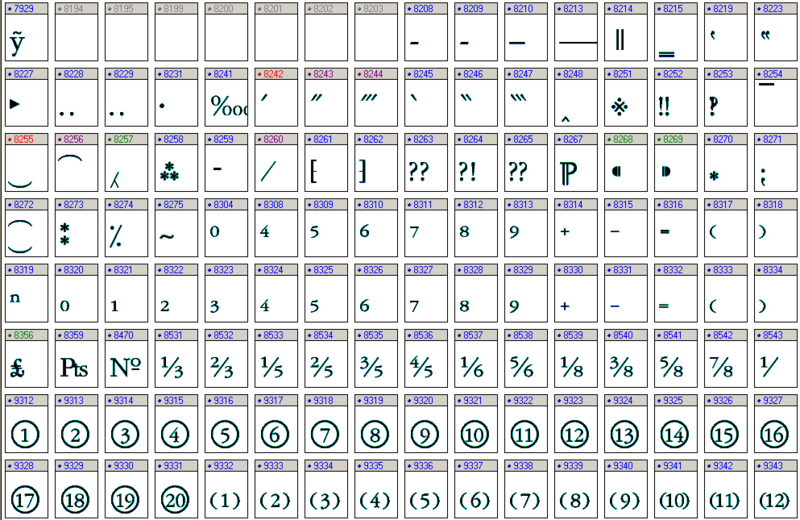 And easier ways to correct Macintosh glyph maps which are frequently wrong on acquired fonts. Dare I say, most of all I would like the upgrade price < $450US! ! ! Open contours are contours that do not close between start and end point. This can be sometimes be useful, especially when you want to join several contours. Because open contours aren't supported by the (TrueType and OpenType) font specifications, eventually they need to be closed in order to save the font file. Fortunately version 5 Professional Edition will have a feature that joins contours, so open contours aren't needed for that version. I will look into hinting after version 5.0 is released. It might be a project on it's own, because of the complexity. Could you send me an example of a font with incorrect Macintosh mappings? I voted for Automatic Hinting, just because I think it is the one feature demanded by professionals. Scripting is another frequent request, but not one that is needed any longer. 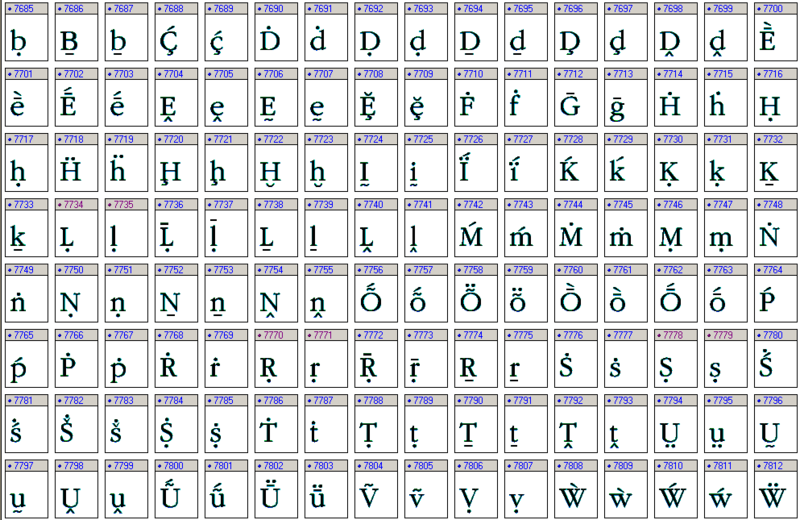 The new Insert Character and Complete Common Composite features do away with most of the need for scripting. 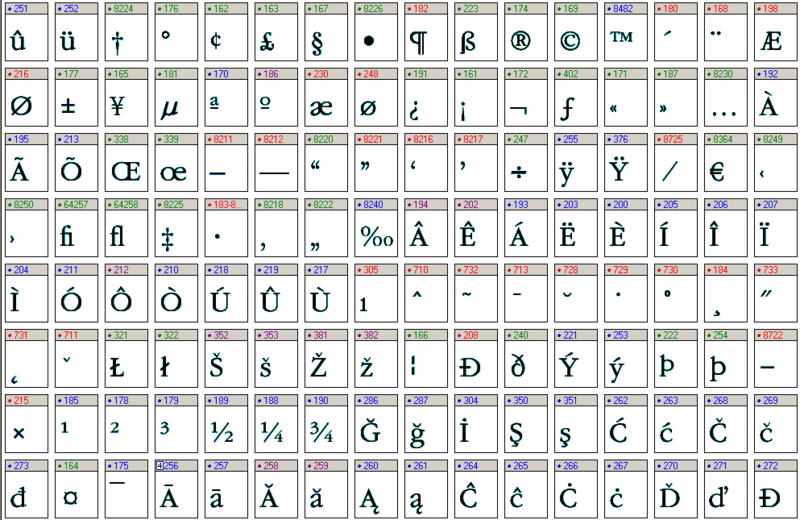 The calculate Unicode Ranges, Code pages, and Font Metrics, are also great time-savers. If you need lots of accented characters for languages like Vietnamese, you can add them all easily with these new features. 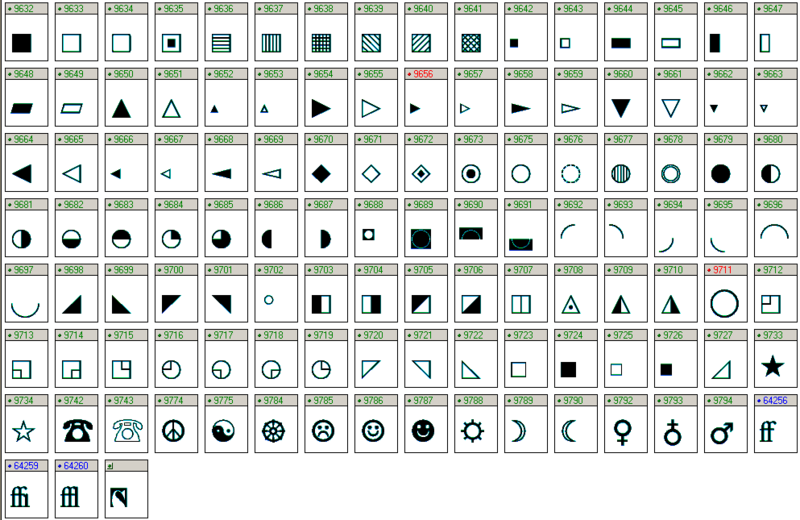 This font took me about five hours yesterday, with a bit of cut and paste of the Geometric symbols I made earlier for another font. One question that comes up from time to time is how to use my fonts on the Mac. Would Postscript Type 1 export make this easier? What I think would be good is more automatic font validation checks so that it becomes almost impossible to create a font that won't work. Last edited by Bhikkhu Pesala on Mon Mar 07, 2005 7:08 am, edited 2 times in total. Automatic hinting would be a most useful and time saving addition. I voted for manual hinting, but that's just because I don't thing automatic hinting is able to do the job properly. In fact, it would be great to have ANY type of hinting in FC - as far as I can see (and I'm no expert) it's the only feature really missing here. dominikw wrote: I voted for manual hinting, but that's just because I don't thing automatic hinting is able to do the job properly. In fact, it would be great to have ANY type of hinting in FC - as far as I can see (and I'm no expert) it's the only feature really missing here. I may still not understand the technology that well. Microsoft documentation is skimpy. But it appears from using TrueTypeViewer that hinting is a remarkably non-trivial process involving the creation of 'font functions' and a 'glyph' program which calls these, both with basic branching (making it genuine programming). I think that's why fonts like Arial and Tahoma are so incredibly large. But I don't know. At any rate, the purpose is to catch those fonts sizes generally below 10PT. So all that work is basically to pick up 7, 8, and 9 point as I see it. I wonder if it's worth it? Perhaps it is. Again, I don't know. 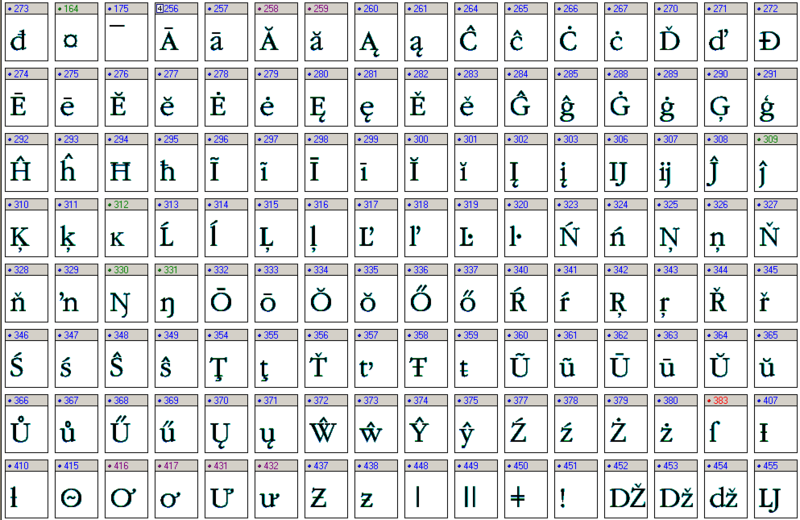 But it seems like a LOT of programming for each glyph. Perhaps a dumb editor could be included, a simple debugger, and an XML of a fairly standard program for at least the major symbols, numbers, and upper/lower case, and that's all. Perhaps better, since the point is just to move control points slightly for small-sized screen display, would be a simple visual editor, and the programming could be automatically generated from how the small point positions are set? I meant to mention, however, that I can understand a reluctance to engage in what looks like a LOT of hard work to add such a feature. Simply engaging the grayscale option for the font accomplishes all but exactly the same legibility at small size. It's not quite as sharply black. But it's certainly legible. And I wonder, too, if at any point this would intrude into some Apple copyright on the matter, not involving the Font Creator people, but rather those distributing fonts with hinting? I wonder if it's allowed without some sort of license? Automatic hinting SOUNDS like a great idea, as it seems to promise quasi-professional results with little effort, but if it's anywhere near as complicated as sevry7 suggests, it might be a better idea to offer the fontmaker the option of including embedded bitmaps (bitmapped glyphs) for small point sizes. 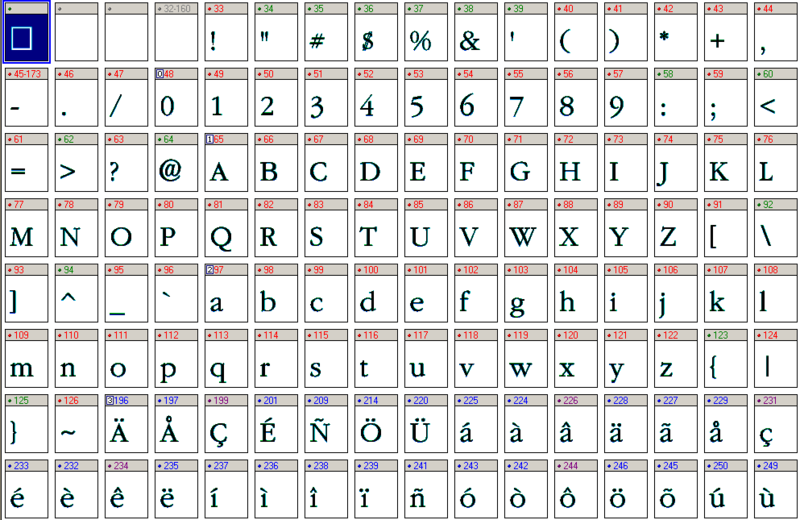 That means more work for us the fontmakers, of course, but at very small point sizes, you can't beat hand-crafted bitmapped glyphs. Bhikku, that's a nice font; one of the other students in my lab who's studying Vietnamese always laments the lack of a good font. One little quibble: the circled numerals (9312-9331) seem to be a bit too low in the circle, especially the two-digit ones. Is this an optical illusion or are they really low? Right now I'm using the trial, and despite all of the great features I am amazed at the lack of a way to hint ANYWHERE in the program. Personally, I would not even consider buying any kind of font program without hinting capability. So far, I have not been able to make a decent font that displays correctly at different sizes, nor have I figured out a way (if there is one) to make minor modifications to a font and preserve the existing hint coding. It's like one of the most important features is just plain missing! Hinting seems to be the most demanded feature. But I doubt that anybody would really use it if it was implemented. Truetype hinting is programming at assembly level. Even with the help of software the designer must have a deep understanding of the language. 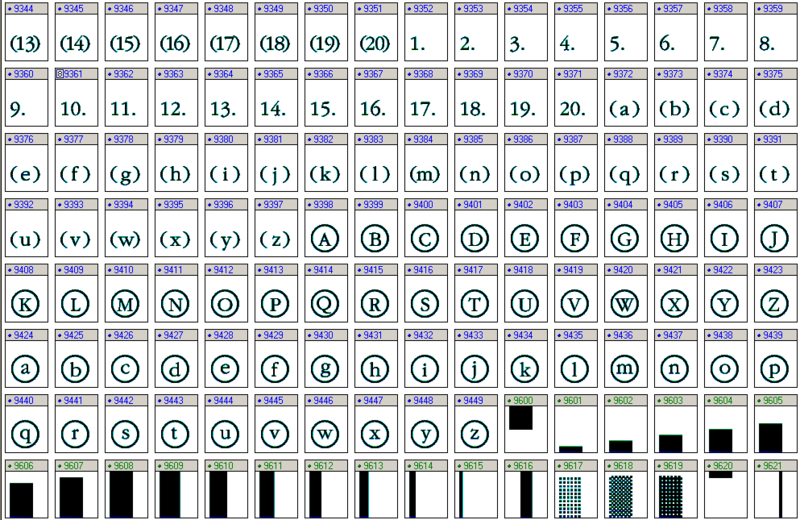 Very complex glyphs need very complex hinting programs. 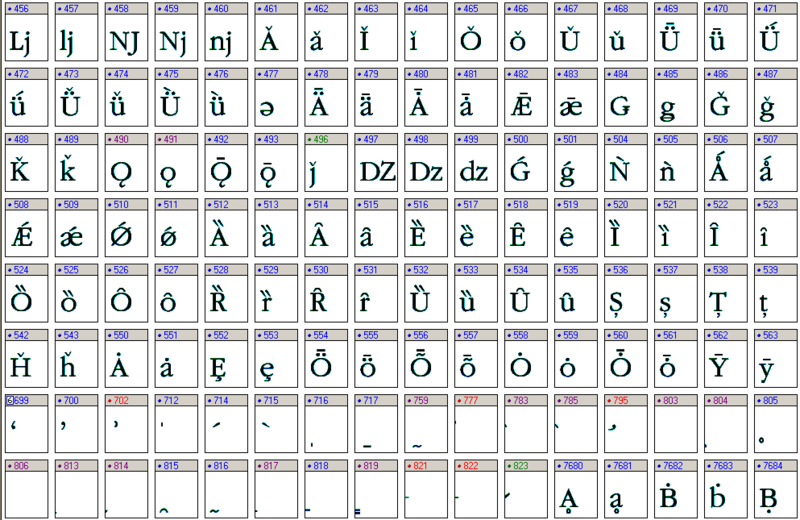 That's why CJK fonts use bitmaps instead of hints, the glyphs are just too complex and the font is way too large to create programs for each glyph. Using embedded bitmaps is a much easier and faster way to turn pixels on or off. Especially with large fonts it allows perfect results within a small amount of time. It's the ultimate form of hinting because the result is 100% predictable. If the program creates the bitmap the designer just needs to turn on/off some pixels, then save the bitmap and go to the next glyph. Thanks for your feedback. I've added your feature request (embedded bitmaps) to the poll.